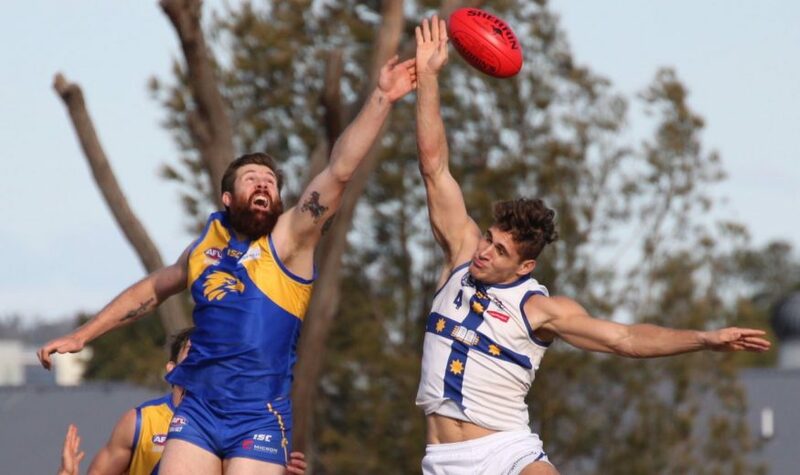 East Coast Eagles vs. Sydney University – Kanebridge Oval on Saturday, June 16, 2018. After a week off over the long weekend, the competition resumed on Saturday with a full round of fixtures. It was a day of sunshine on Saturday, although the wind kept the temperatures down and kept the players guessing. Kanebridge Oval was the venue for a blue and gold derby, as East Coast Eagles played host to Sydney University for the Gordon-Physick Cup. In the context of an extremely tight battle between third and sixth, who went into the round level on points and separated by just a few percent, this was always going to be a key fixture. A game where not just the winner but the margin would be critical. In such a context, it’s not surprising that the first term was tightly contested, with neither side prepared to concede easy possessions or scoring opportunities to the other. There were plenty of physical contests and some ferocious tackling. 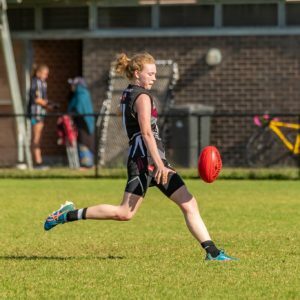 But Sydney University were looking the better side in the early exchanges, and found ways to get through the East Coast Eagles defence and create chances. Sydney University led by 14 points at the first change after kicking three goals to one, and were looking well set. 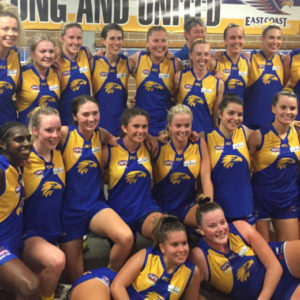 But at the quarter time break, the East Coast Eagles steadied and the reshuffle of the back line worked a treat in the second term. Sydney University had the ball as much as the East Coast Eagles in the second term, but struggled to do anything meaningful with it as the Eagle defenders spoiled and cleared with regularity. It was a scrappy quarter of footy, but East Coast made the important plays work to their advantage, kicking the only two goals of the quarter and reducing the deficit to just two points at the long break. After such a tight first half, the game was there to be won if either team could put on a decisive burst that would break the game open. And in the third quarter, the East Coast Eagles were able to do just that. Players that had been well held in the first half started to pick up possessions and turn the tide in the home side’s favour. It didn’t take long for East Coast to take the lead, and Sydney University were left to chase the game. 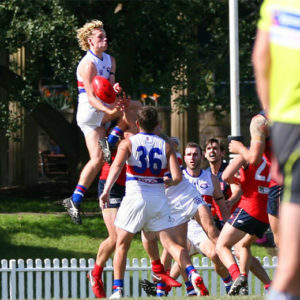 Five goals would go to East Coast in the premiership quarter, while Sydney University were held to one goal and would regret some missed opportunities to minimise the damage. At three quarter time, the East Coast Eagles were 18 points ahead. Sydney University would have to turn on something special in the last quarter to steal this game back, and they gave it a decent shot. They lifted their work-rate in the last quarter, and kept coming hard at the East Coast Eagles during the last term. But the East Coast defenders were equal to the task, and although Sydney University sent the ball inside their forward 50 numerous times in the last quarter, they were only able to produce one more goal to show for their efforts. Although East Coast didn’t score a goal in the last quarter, they hung on for dear life and emerged with a 13-point win. 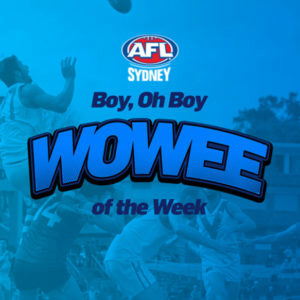 Trent Stubbs, Kieran Emery and Reuben Haupt were best for the Eagles, and were pivotal to them taking out an important win. Not only for their four points, but for denying four points to Sydney University. East Coast have been inconsistent this season, but when they’re in their best form they are hard to stop. They had to dig deep, but they got the job done, and with the win they return to the top five. Monty Krochmal, Jacob Swarts and Marcus Valastro were tireless servants of the Sydney University cause, and worked hard to keep them in the contest. But in the end they fell short. They had more scoring shots than East Coast, but failed to capitalise on some good work around the ground, and some more accurate finishing in the third term could have reduced the damage when the Eagles made the decisive move of the game. And with the loss, their third in a row, Sydney University drop out of the top five.